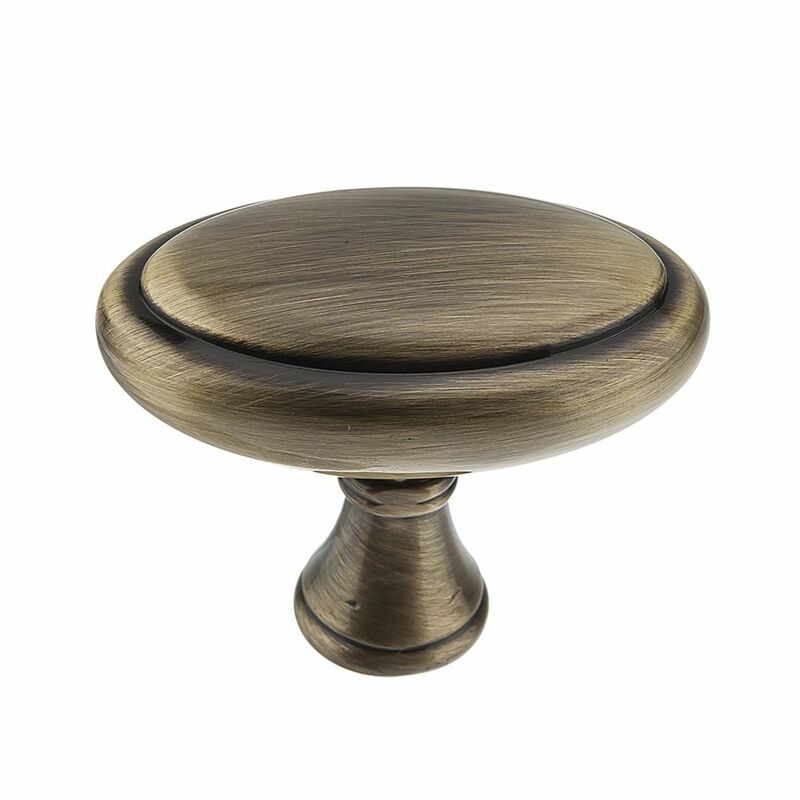 Richelieu Traditional Metal Knob - Antique Iron - 38 mm Dia. Traditional Metal Knob Antique English - Candiac Collection Classic oval knob by Richelieu. Subtle detailing of knob and shaft provide a nice accent to classic kitchen and bathroom furniture and dicor.